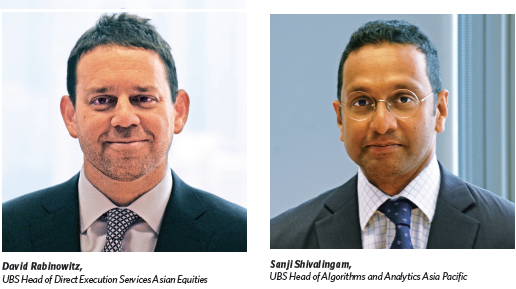 By David Rabinowitz, UBS Head of Direct Execution Services Asian Equities and Sanji Shivalingam, UBS Head of Algorithms and Analytics Asia Pacific. The effects of a raft of exchange-led and regulatory inspired changes over the last 18 months in the Asia Pacific region is slowly filtering through not only to market microstructures themselves but also to market share compositions. Change is necessary for financial markets to maintain market integrity and stimulate liquidity. Catalysts, incentives, roadblocks and reversion metrics, will influence market participants as to the exchanges and venues in which they trade. Yet in addition to the desired outcomes, the changes have potential to bring about unintended consequences. Over the past six months throughout Asia, exchanges have implemented structural changes and introduced strategic initiatives in an effort to entice market participants. They have included: tick size reductions in Indonesia (06 January 2014) and in Japan (14 January 2014 and 22 July 2014); an increase in continuous auction matching sessions in Taiwan (24 February 2014 change to 10-second matching from 15-second matching in July 2013 and 20 seconds prior to that); liquidity provider (LP) and market maker (MM) incentive schemes in Singapore (01 June 2014); lot size changes in Korea (02 June 2014); and the introduction of a stock connect mutual market access (MMA) program in Hong Kong and Shanghai. Some initiatives have brought about positive outcomes, such as improved benchmark performance as a result of tighter spreads in the case of Indonesia (from 65bps in 2013 to 26bps in 2014) and an intentional focus on trading large cap benchmarked constituents in the case of the MMA scheme. However, others have led to increased costs. In response to a decline in ASEAN market share (Singapore now comprises 28% of the ASEAN market as opposed to 43% in 2009), the Singapore Stock Exchange (SGX) has sought to attract liquidity providers and market makers with incentive schemes (by offering rebates on clearing costs and exchange fees). A possible unintended consequence is that the institutional client base, a mainstay of the market, risks being disenfranchised and faces a rising clearing fee structure. A US$10m trade that, previously, would have cost US$468 to clear now costs US$3,250. A decision to change the composition of the market has unintended consequences. It is inevitable that as microstructures shift, volume curves need adjustment, spread validations require recalibration, quote stability checks become more sensitive and smart-order routers require more sophisticated multiple level sweeping and posting logic. A potential knock-on effect of change is the dislocation of liquidity as the order book fragments. Many structural changes have been accompanied by a general increase in the velocity of trading (i.e. the number of interactions over a given period) and a continued reduction in the average trade size. For example, in Korea, SK Hynix, which traded 11k prints per day prior to the board lot change, is now printing an average of 20k orders. The knock-on effect has been for the average trade size to decline from 1.5m KRW to 1.1m KRW across the Kospi200 index. per day prior to the board lot change, is now printing an average of 20k orders. The knock-on effect has been for the average trade size to decline from 1.5m KRW to 1.1m KRW across the Kospi200 index. Regulatory changes in Australia have been positive for local market structures. The Market Integrity Rule (MIR) changes, introduced in May 2013 by the Australian Securities & Investment Commission (ASIC), aimed at ensuring a level playing field for brokers and exchanges in Australia. While the regulator imposed a set of rules for all in dark, it has also prompted an increase in volumes in Centre Point over broker lead pools. An unintended consequence of the dispersion of liquidity in Australia, given the increased activity within the alternative Chi-X Australia exchange and within Centre Point, is an inherent rise in market-making flow within the different venues. Such non-traditional systematic funds are “long agility” and are often able to capture inefficiencies in new environments that Institutional investors are generally slower to react to and compete. As broker offerings are enhanced and smart-order routing features are developed, a more accurate reflection of the true market economy should emerge as evidenced by the rise in passive posting on Chi-X which increased from 5% in May 2012 to almost 40% in May 2014. 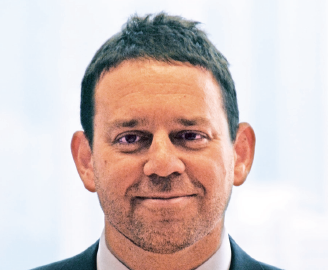 The merger of the Tokyo and Osaka stock exchanges combined with the concerted effort on the part of the Japan Exchange Group (JPX) to level the playing field with the PTS (Chi-X, JapanNext) has had unforeseen effects on the market in Japan. In an effort to minimise market disruption, implementation is taking place in two phases. Phase I, which was completed in January, brought about a welcome reduction in spreads but it also resulted in a spike in the number of quote changes. In many cases, the number of market data events (new/amend/cancels) increased by 150% while the quote sizes declined by a factor of 10. Phase II is clearly going to have a larger impact than the initial phase. Market data events are expected to increase to the point where the cost of the hardware required to implement the changes may become excessive. Furthermore, as mandated spreads contract, liquidity providers may find it more difficult to maintain current activity levels and profitability. It also remains uncertain how it will affect competition among the venues, with PTS volumes expected to decline in the affected names. Market structures in Asia Pacific are more diverse than in any other region. Spread costs in Thailand average 45 basis points relative to a 13 basis point spread in Japan. While the US is dabbling with a wider-spread pilot program to enhance liquidity in the small and mid-cap segments, Japan is moving in the opposite direction by seeking to attract institutions with sufficient technology spend to keep up with the structural changes. Some investors remain concerned as to with whom they are interacting. In-house analysis of market-share composition in Hong Kong has revealed the emergence of new market share providers tied to the single-stock options market-making licenses granted by the Hong Kong Stock Exchange. While roadblocks, including stamp duty and throttle mechanisms, have constrained the “high frequency” component of the market in Hong Kong, the structural changes created by new market entrants is becoming ever more apparent. These include an increase in the number of single-stock options market-making licenses where the cash hedge is entitled to a stamp duty waiver and a short-sell tick rule exemption. Similar to Korea, since December 2013, the unintended consequence of the license has been for average trade size to decline rapidly and the average number of trades to increase significantly as the increased velocity results in a disruption of liquidity on the order book. China Mobile, for example, has observed 44 trading days in excess of 7.5k trades per day in the past six months. It took more than five years (back to December 2008) for China Mobile to register a similar number of executed trades. With respect to market making activity, we argue that such electronic market-making activity, while constructive in that it enhances market liquidity and stability has, nonetheless, changed the manner in which participants interact with the order book. In June 2014, dark liquidity in the Hong Kong market accounted for just 1.8% of overall turnover. Concerns surrounding price formation and price discovery have more to do with the consequences of these licenses being granted rather than liquidity residing off-exchange in broker-led dark venues. The SFC consultation on alternative liquidity providers (ALPs) is attempting to redress imbalances in the dark trading segment in Hong Kong. The intentional effects of retail and non-institutional flow being excluded from interacting with broker-led ATS venues has resulted in a marked drop in Hong Kong ATS turnover. It could be argued that such retail and non-institutional flow remaining on the displayed market is beneficial for price formation for all participants. Yet the unintended consequence is the creation of a two-tiered access model that excludes certain segments from participating in the ATS segment in Hong Kong; a move that runs counter to the global shift to prevent inherent conflicts in providing beneficial access to certain client segments. As market structures change, liquidity will reside with those most adept at adjusting to the demands of exchanges and regulators. However, it is abundantly clear that efforts to increase market liquidity have a ripple effect on both the short and long term costs of trading. As exchanges compete for relevance, the most pertinent consequences of change may result from the unintentional effects of these strategic initiatives. Note: All data sourced to UBS unless otherwise stated.